Crystal Palace welcome Watford to Selhurst Park on Saturday in the Premier League, as the Eagles look to continue their good run of form after a positive festive period. Crystal Palace have lost just one of their last five in the Premier League coming into this clash, including impressive away victories against Manchester City and Wolverhampton Wanderers respectively; their only defeat coming at home Chelsea a fortnight ago. Despite an impressive start to their campaign, Watford seem to be struggling of late, having only won two of their last 11 outings in the league. However, the Hornets will take extra motivation from the fact that maximum points on Saturday could see them rise to seventh place, dependent on other results. The Eagles may be on a solid run of form at the moment, but have only won twice in front of their own fans so far this term. Three points on Saturday will see them remain 14th, however, they will edge further away from the dreaded drop-zone. 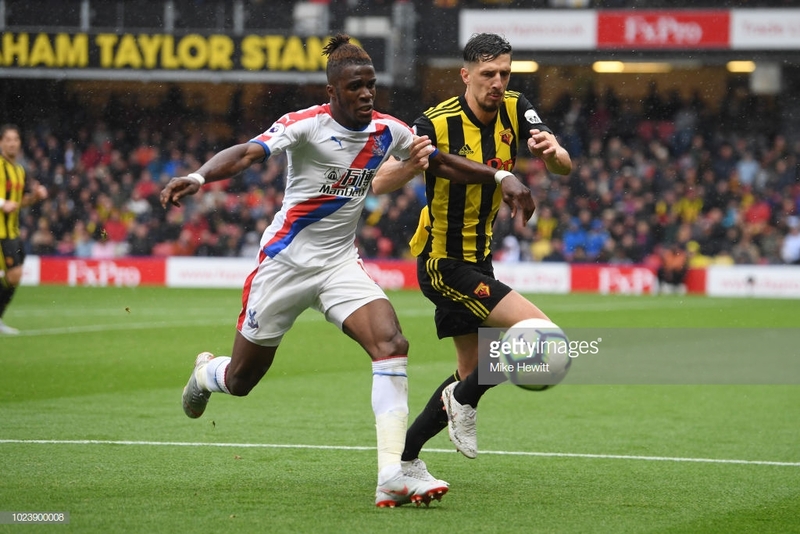 Watford hosted Palace at Vicarage Road in just the third game of the season, last August, when a clinical second half from the Hornets saw them take all three points in a 2-1 win over Palace. Crystal Palace were left to rue first-half chances when goals from Robert Pereyra and Jose Holebas in the 53rd and 71st minute respectively gave the home side a comfortable advantage. Palace talisman, Wilfried Zaha, gave the South London outfit a lifeline ten minutes from time, and they really should have gone home with a point only for Joel Ward to put his free header wide of the post late into stoppage time. This win for Watford made three it from victories from a possible three which rounded off a perfect August for them. Troy Deeney has five goals so far this term, two of those came in the first 30 minutes of their dramatic 3-3 draw against Bournemouth earlier this month. Palace have eight clean sheets so far this season, the same amount as Man City, and the most outside of the top six. Standing in the heart of Palace's defence is fan favourite, Mamadou Sakho and his physical presence will be sure to make it a frustrating afternoon for Deeney. Palace's only notable absentees are, Christian Benteke and Pape Souare. Benteke is back in training as he makes progress on his recovery, whereas Souare had to leave the field of play with a shoulder injury during the Eagles 1-0 win over Grimsby in the FA Cup last time out. Watford have welcomed Christian Kabasele and Andre Gray back to training, yet will both be doubtful for this fixture; Sebastian Prodl is the only player who still remains injured. Javi Gracia told the club's website "We have 26 players ready... this is good news for us". When discussing the possible return of Kabasele and Gray, Gracia stated: "It's a little bit soon for them to play in one or two days, but we'll see...We have more options and I think it will be better if we continue, keep training and we'll see their evolution." Crystal Palace: Guita; Wan-Bisakka, Tomkins, Sakho, Van Aanholt; McArthur, Milivojevic, Kouyate; Zaha, Ayew, Townsend. Watford: Foster; Holebas, Cathcart, Mariappa, Kiko; Capoue, Doucoure; Pereyra, Sema; Deeney, Deulofeu.